1. 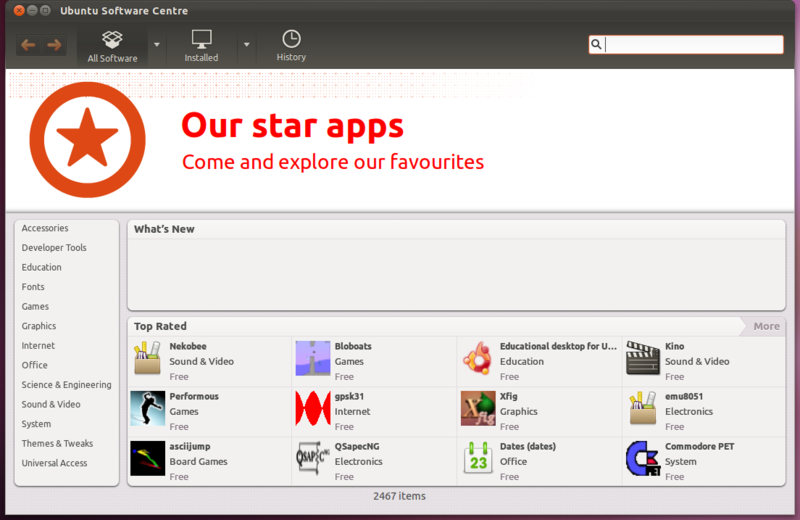 Install Ubuntu without choosing the "Download updates while installing" option. 3. 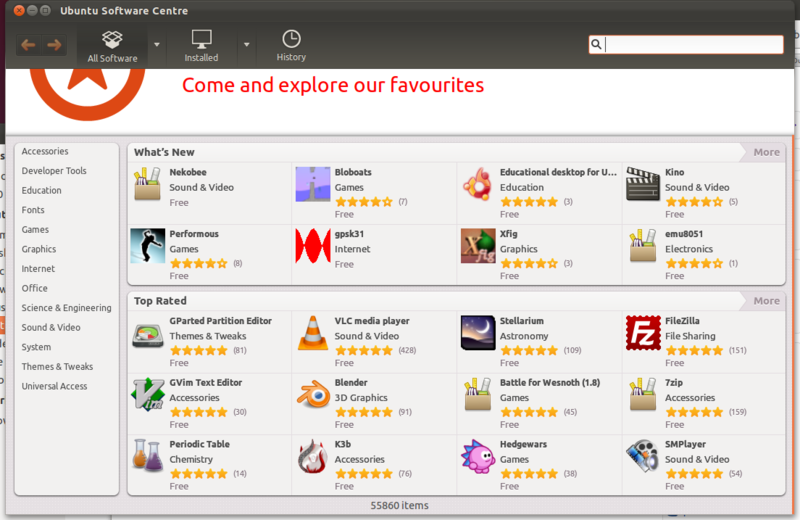 Launch Ubuntu Software Center. * "What's New" shows as an empty box. * "Top Rated" shows not the top rated items, but the newest items. * "What's New" shows the newest items. * "Top Rated" shows the top rated items. seems to be the least risky change at this point. In the first screenshot the top rated its not actually sorted by "newness" but instead by randomness, there is no data on either new nor rating available at this point.In the second screenshot what appears to be "new" is again more or less random as at this point all applications have the same "cataloged time" value (the data/time of the fresh install).